In one of today’s more expected developments, the first full trailer for the live-action Beauty And The Beast film has just broken the record for views previously set by the 50 Shades Darker one. (We’re pretty sure this is the first of many instances of that particular sequel being bested.) Entertainment Weekly reports that the early look at Bill Condon’s new movie garnered 127.6 million views within 24 hours of its debut on Good Morning America Monday. This number is higher than that of any other movie trailer, including 50 Shades Darker, which had just taken the title from Star Wars: Episode VII—The Force Awakens back in September. Darker’s trailer had reached 114 million views a day after premiering, which beat The Force Awakens’ 112 million. 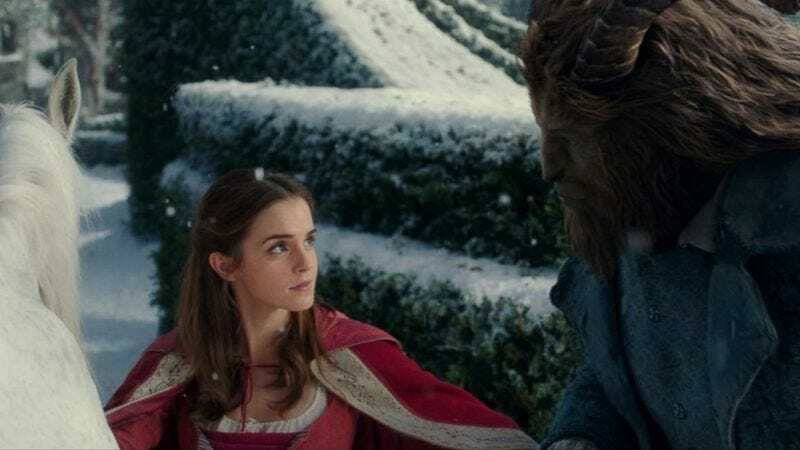 (The J.J. Abrams film was previously outpaced in the teaser views department, as the first Beauty And The Beast glimpse drew almost 4 million more views.) But that’s just the whole “agony and the ecstasy” thing that Christian Grey’s into, right?